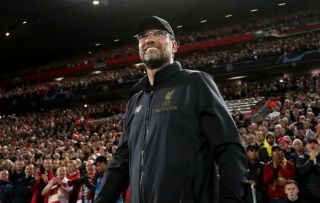 Liverpool face a decisive period in their season and boss Jurgen Klopp will undoubtedly be desperate to have as close to a fully fit squad as possible at his disposal. The Merseyside giants face Tottenham this weekend as they hope to keep hold of top spot in the Premier League table and fend off title rivals Manchester City. Further, they face Porto in the quarter-finals of the Champions League next month, and so in order to continue to compete on multiple fronts between now and the end of the campaign, Klopp will hope to have quality depth available across his squad. As noted by Sky Sports, he has offered updates on Joe Gomez, Trent Alexander-Arnold, Alex Oxlade-Chamberlain and Xherdan Shaqiri, and by and large it’s relatively positive in terms of his confidence that they will all be able to play a role to end the season. “It is nice – Joe is not injured anymore and nearly fit,” Klopp told Liverpool’s website. “After a long time, I think Joe was out for 15 weeks, that is long, so he needs to now create the basis again for the rest of the season. “Trent still feels his back. We are not 100 per cent sure, so we have to watch him. Trent wants to [be] 100 per cent, but we have to see. Klopp went on to add that Shaqiri should be available to face Tottenham, while he has suggested that Oxlade-Chamberlain will return to full training next week after picking up a setback during his run out for the U23s side in his comeback game. In turn, although it’s not an entirely positive picture as there are still key players struggling with knocks, it sounds promising enough to suggest that Liverpool could be edging closer to getting them back in time for the final few games of the season. Sky Sports also noted on Tuesday that Man City have also been handed a major injury boost with a key quartet of their own set to return this weekend, and so it continues to set up a fascinating conclusion to the title race.